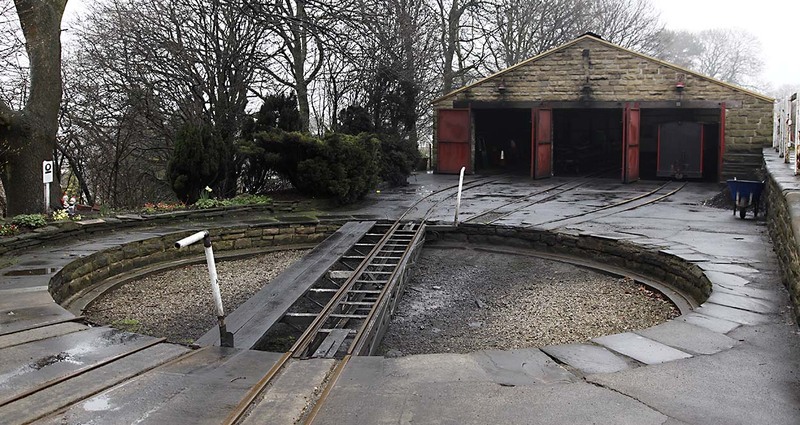 On a misty day in April I visited the Kirklees Light Railway a 15 inch gauge line in West Yorkshire. 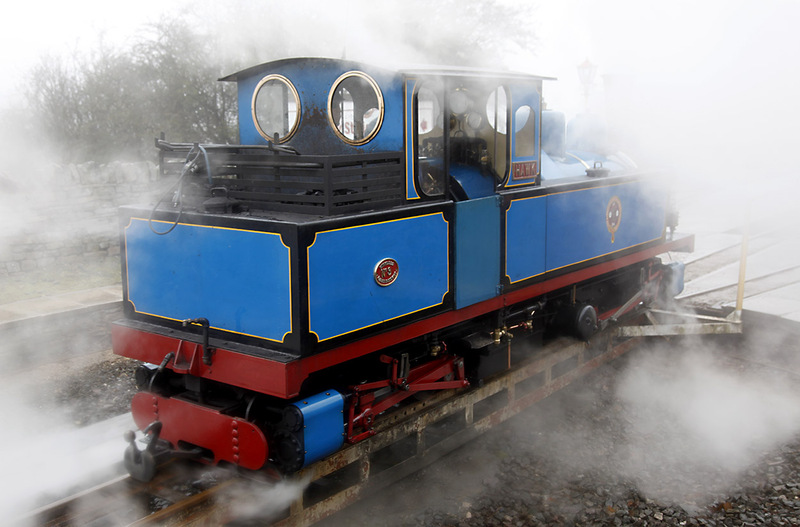 It was a quiet, mid week timetable and the rostered loco was ‘Hawk’ a very elegant 0-4-0+0-4-0T Kitson Meyer. The main station is Clayton West and I arrived to find Hawk being turned on the turntable. 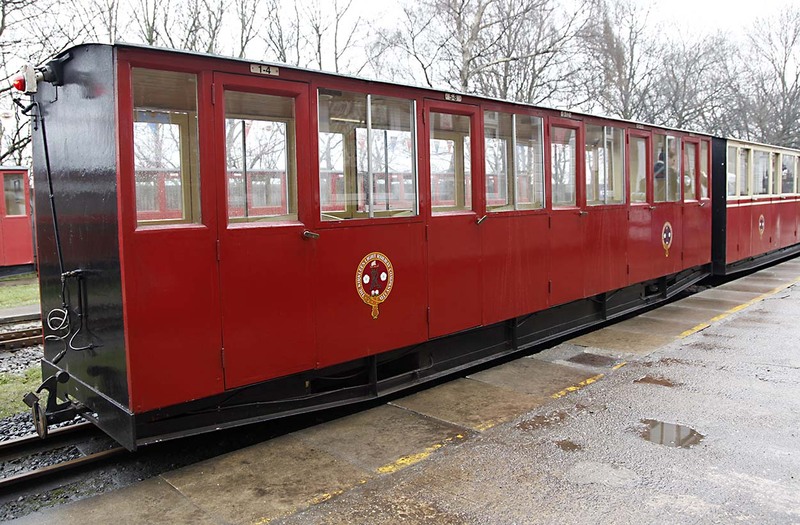 The KLR runs on an old standard line, built by the Lancashire and Yorkshire Railway in 1879 and closed to passengers in 1983. The line was reopened as a 15 inch gauge line in 1991, and grew in stages until it reached its present length in 1997. 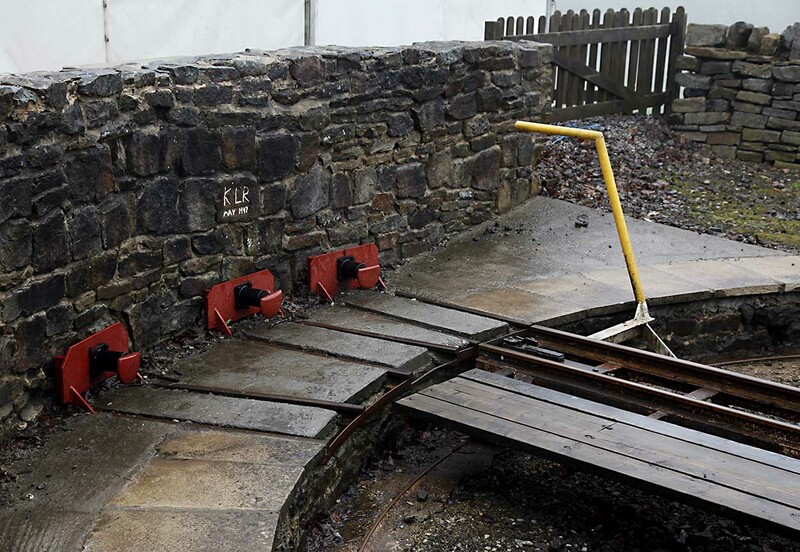 The driving force behind the creation of this miniature railway was Brian Taylor. He must have been quite a guy. 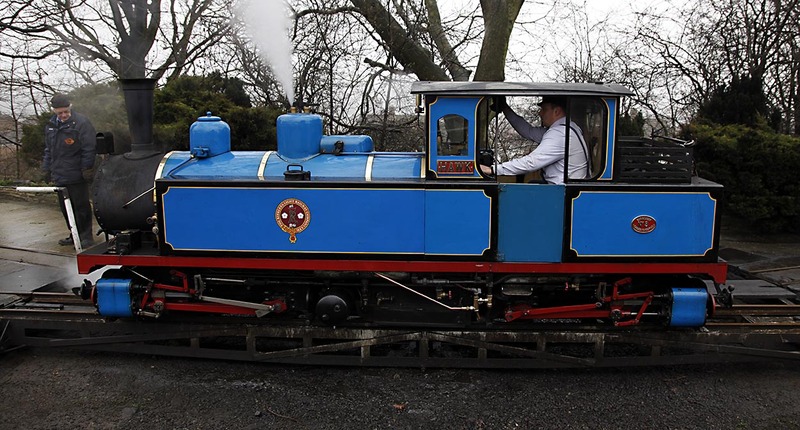 Not only did he get a light railway order and construct the line but he built four steam locomotives that are still used on the KLR. 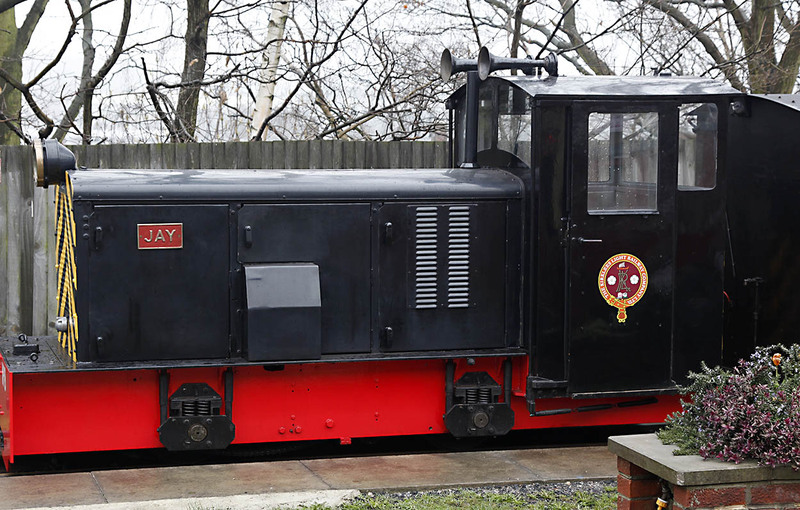 Hawk is one of these locos and was inspired by a 2’5″ gauge Kitson Meyer built by Andrew Barclay Sons for export to Chile. 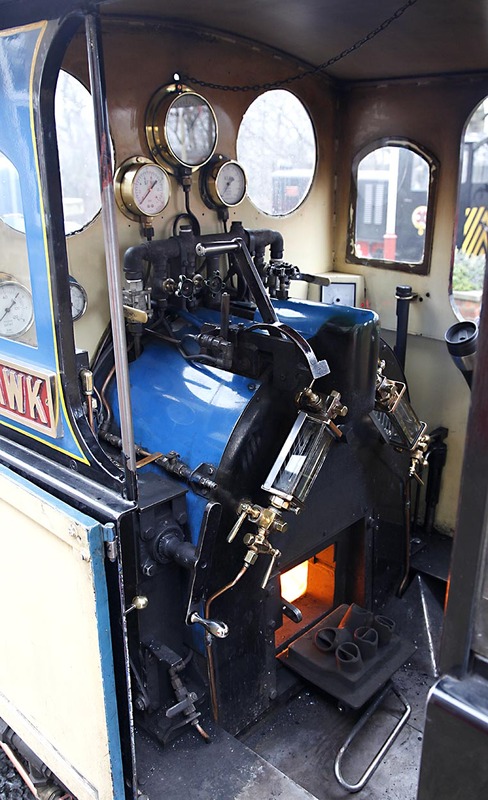 A nice view of the cab. 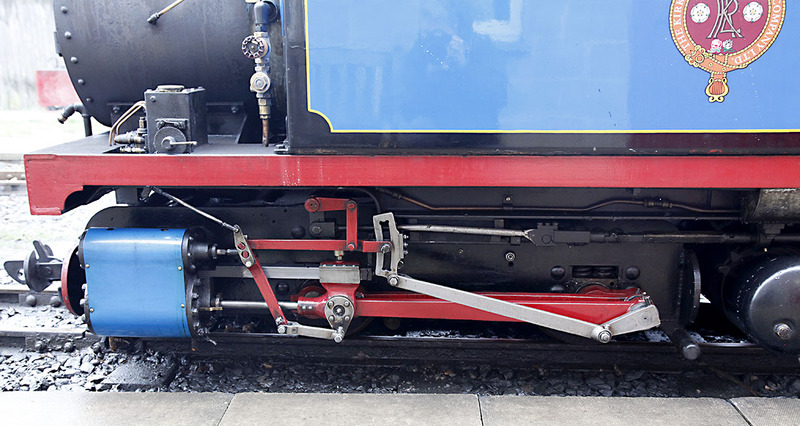 A close up of one of the ‘bogies’. Clayton West is a very well appointed station. Here’s the shed and the turntable. Sitting patiently in the station was Jay, a 0-4-0 diesel. 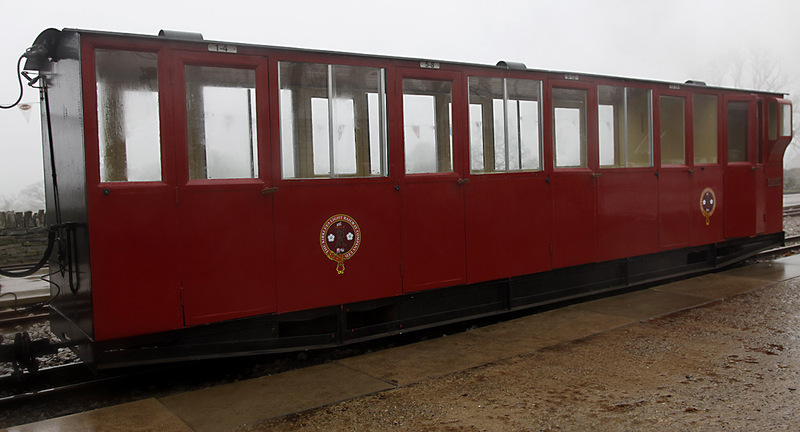 The line runs for approximately 3.5 miles to the other terminus at Shelley. It’s a great ride, along the wide ex-standard gauge trackbed, under the original bridges and through the 467 m long Shelley Woodhouse Tunnel. I’m told this is the the longest tunnel on any 15 in gauge line in Britain, and that wouldn’t surprise me! On arrival at Shelley, Hawk uncoupled from the train and was turned on the turntable. A nice bit of steam, probably enhanced by the misty day! 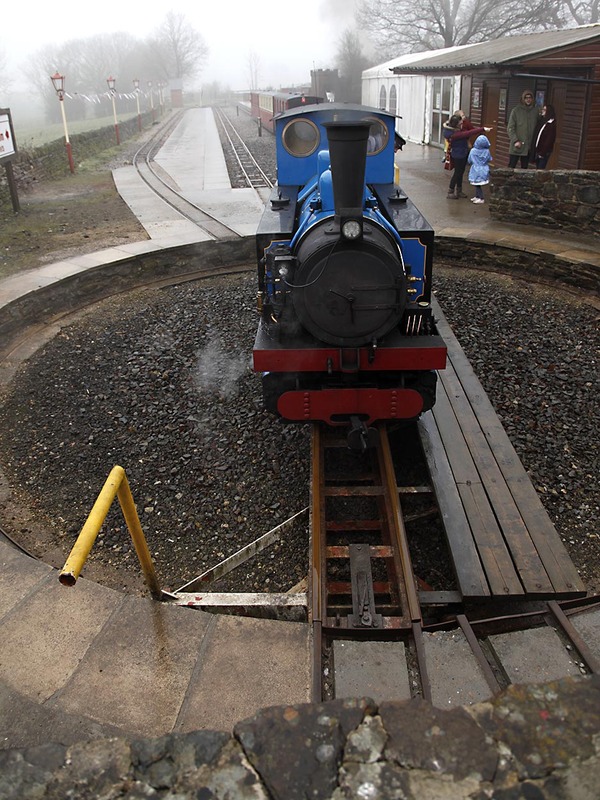 Note the buffers on turntable. The KLR has some very elegant closed coaches. There are even cushions – luxury for a 15 inch gauge line. 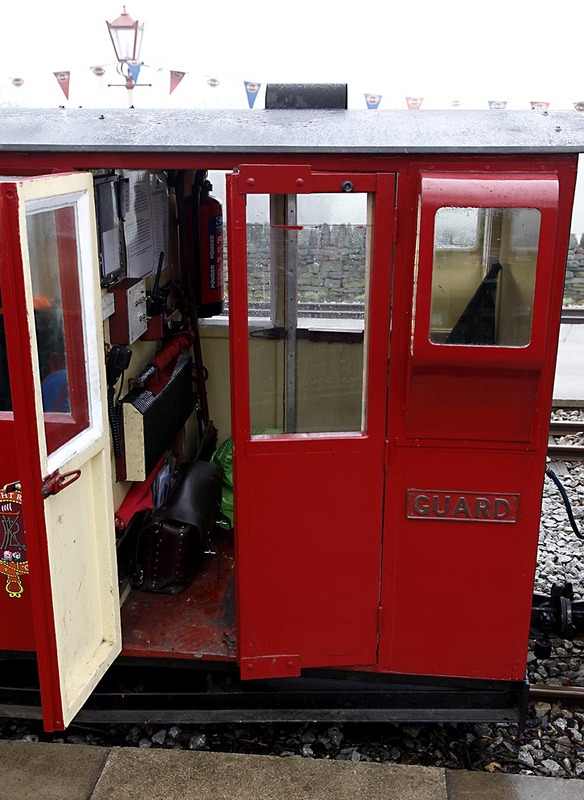 I like the conversion to a guards van. 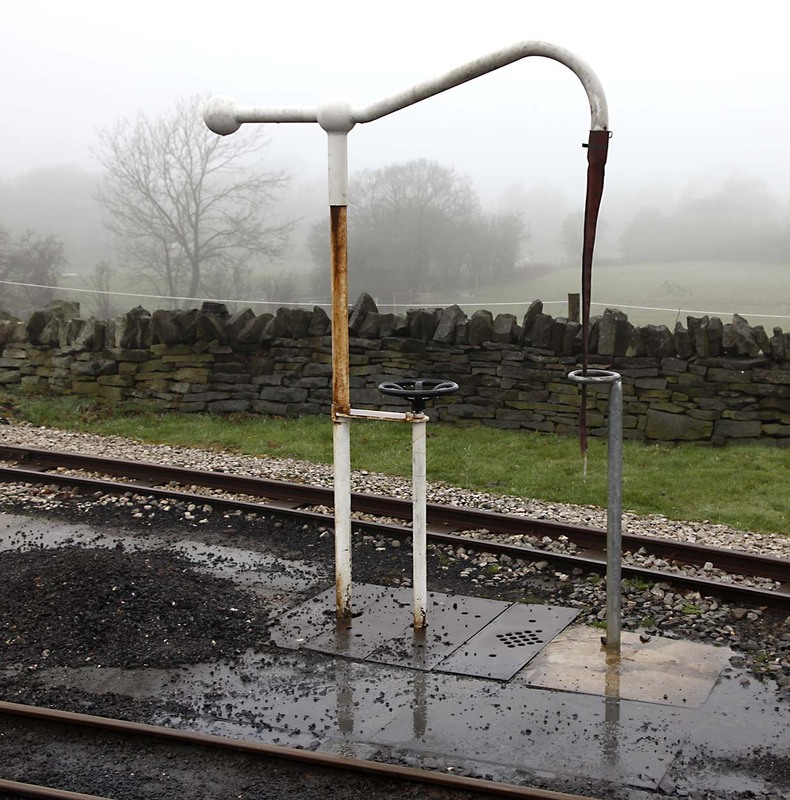 It is often the little things that make a visit to a railway extra special. At the KLR your ticket is valid all day and you can travel as much as you like. I did two round trips, pausing only for an excellent saugage and onion bap in the Buffer Stop Cafe at Clayton West. In the Cafe they were playing a nice mix of Motown music, including the marvellous Tears of a Clown by Smokey Robinson and the Miracles. I would have liked a book on the KLR but, strangely, the shop didn’t have one. 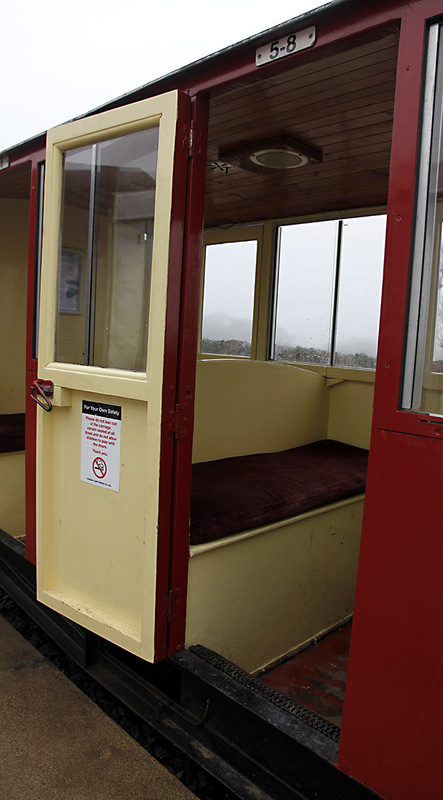 Instead I brought a book on the Fairbourne Railway (!). I had a good day on the Kirklees Light Railway and I’m very tempted to return for their Steam and Diesel Gala in September. WONDERFULLY COVERED! WITH HANDSOME ROLLING STOCK IN BRIGHT LIVERIES!